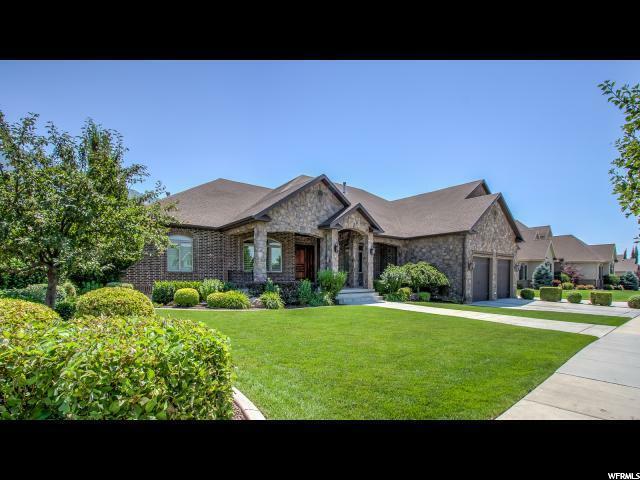 THIS INCREDIBLE HOME HAS CUSTOM FINISHES THROUGHOUT, including custom, doors, entry way, triple painted finish, custom lighting and wood shutters, custom finished office and custom award-winning landscaping! 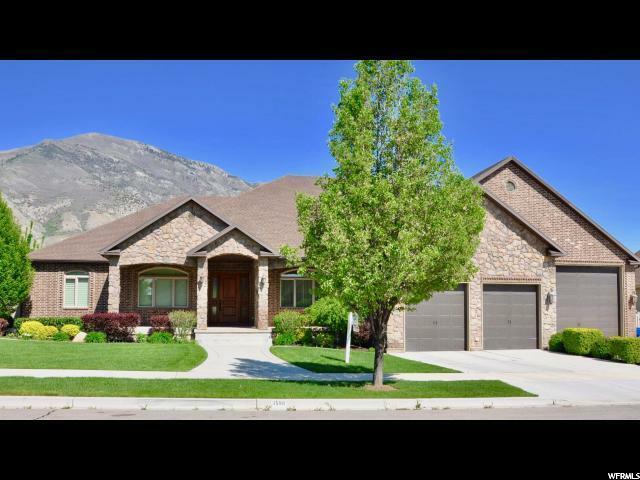 Spacious kitchen and dining area with beautiful wood floor, includes 8 bar stools, space for a large dining table, double convection oven, double dishwashers, granite countertops, a large pantry with adjustable shelving. Plenty of storage space throughout the home!! 3 laundry rooms. Gorgeous master suite with fireplace and sitting area, custom lighting to be able to turn lights on and off right from the bed. Huge master bath with double sinks, large jetted tub. Spacious walk-in closet. Two tankless water heaters for instant hot water. 2 furnaces. Second kitchen in the basement. Four large bedrooms in the basement with roomy closets. Magnificent theater room with seating for 16 or more people. The home features a sound system throughout. The outside features a fantastic pool and hot tub and in-ground trampoline. 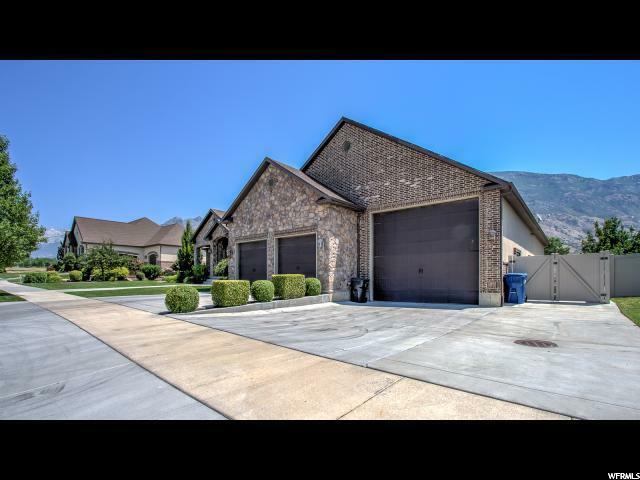 The heated garage is remarkable and has space to park 8 cars, RV, boat, or shop space. 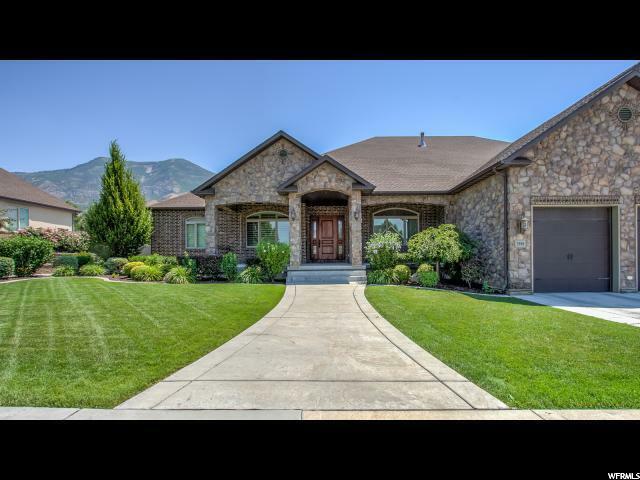 This is the perfect home for entertaining!!! Square feet as per County. Buyer and Buyer's Broker to verify all information including square footage and acreage.